What sets Westfields apart from any other Virginia Golf Club is not only its exceptional playability, but the interest it takes in the traditional elements of the game. Carved through natural wetlands, rolling hills, and majestic beech and oak trees, Westfields offers golfers a setting that is virtually free from distraction. No residences line its links, creating a course that is truly a golfer's dream. Our newly renovated Clubhouse is the ideal venue for Golf Outings, Weddings and Special Events. 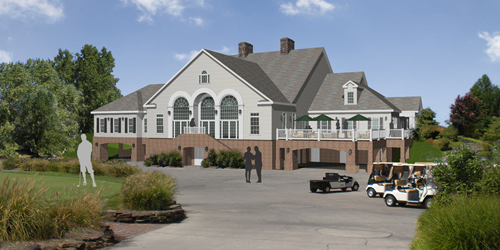 Click here to view more renderings of our new changes and discover for yourself why so many local golfers consider Westfields the best public course to play golf in the Northern Virginia / Washington, D.C area.